A four game series is being played with the first last Thursday and the fourth this coming Tuesday. On Sunday the best game was played. 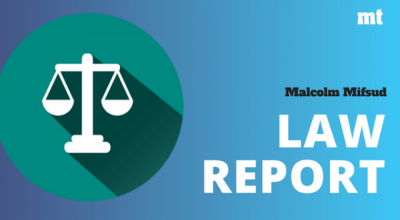 Cardiff batted first and made a huge total of 252 runs, there was great batting from M.Grossett who made eighty seven runs which included six fours and three sixes, N.McAndrew scored sixty four runs with nine boundaries. D.Booth scored a valuable thirty runs while B.Wigley twelve runs and N.Kent sixteen runs. 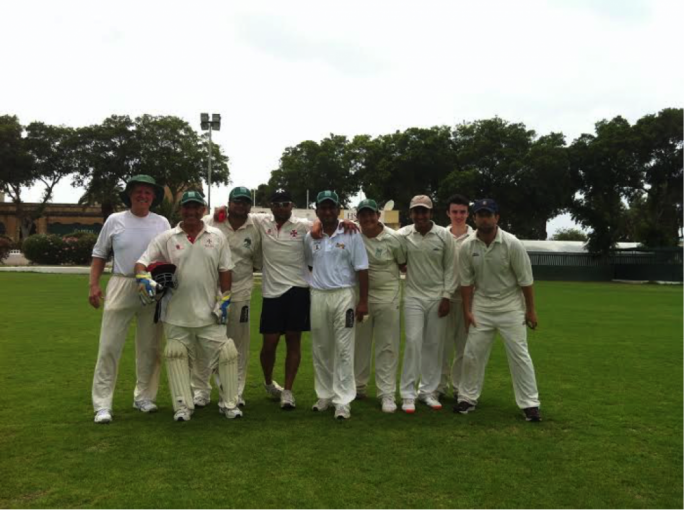 The score was a daunting one for the Marsa batsmen who the day before were bowled out for 77 runs (Joy Ghoseroy top scoring with fifteen), with B. Geeson -Brown taking four wickets for the visitors. Earlier they had made 265 runs with all the batsmen bar one making runs, T.Williams (fifty two), G.Thurstance (forty),J.Matthews (fifty seven), A.Kidwell (fifty seven) and R.Stephens (twenty eight). Nowell Khosla and Chris Naudi opened the batting and put on a valuable partnership of a hundred and three before Naudi was caught for thirty two runs. Khosla was next out top scoring with seventy six runs which included twelve fours. 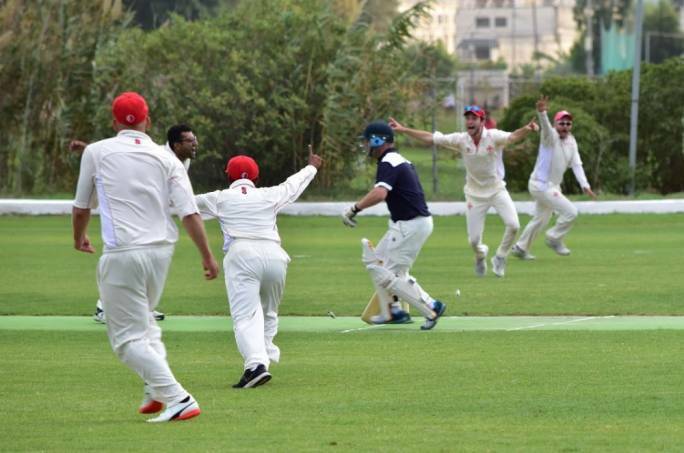 The Marsa batsmen kept plugging away, Haroon Majeed (sixteen runs), Sam Aquilina (fourteen runs),Andy Naudi (twelve runs) and Bikram Arora thirty six runs which when he was caught , thirty eight runs from eight overs were needed with the fiery pacemen of Cardidff having seven to bowl. 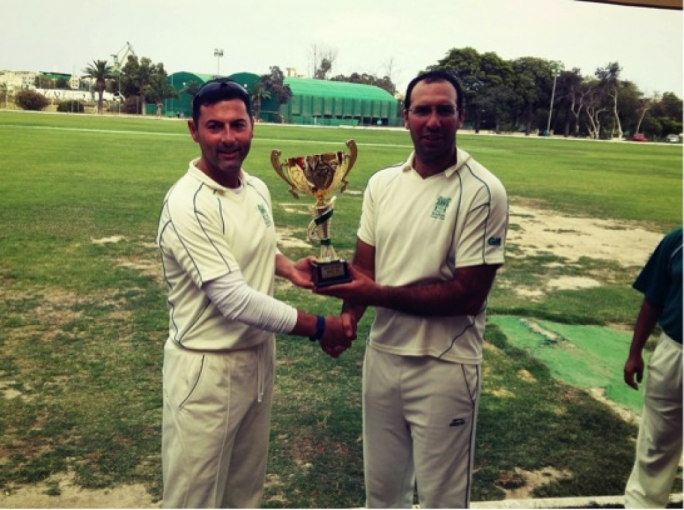 Patrick Spiteri (sixteen runs) and Zubair (nineteen runs) managed to see the home side to victory in the last over of the game. For Cardiff D.Booth was the main wicket taker with three. With the win the series came to two one in favour of the visitors. 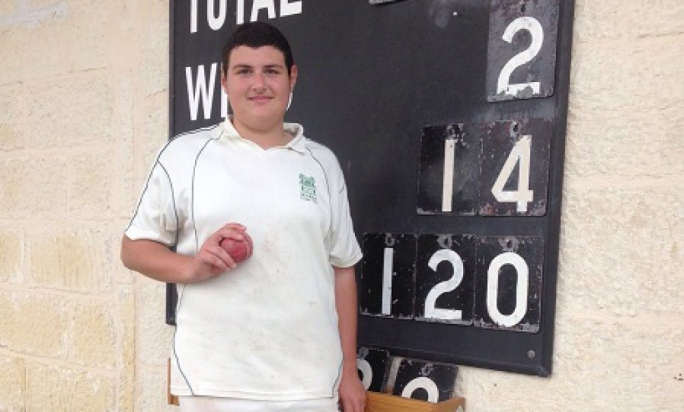 In the Thursday game Frank Spiteri (fifty seven ) held the batting together with Chris Naudi and Malcolm Crabbe making seventeen each, and Justin Brooke twelve from a total of 132 runs. J.Beamont and M. Grossett were the main wicket takers with two each. The Cardiff tim made the runs in the eighteenth over with J.Prew (sixty three) and M.Grossett (thirty nine). On Tuesday the Marsa team battle to square the series.